Forget about the regular old diaper cake! 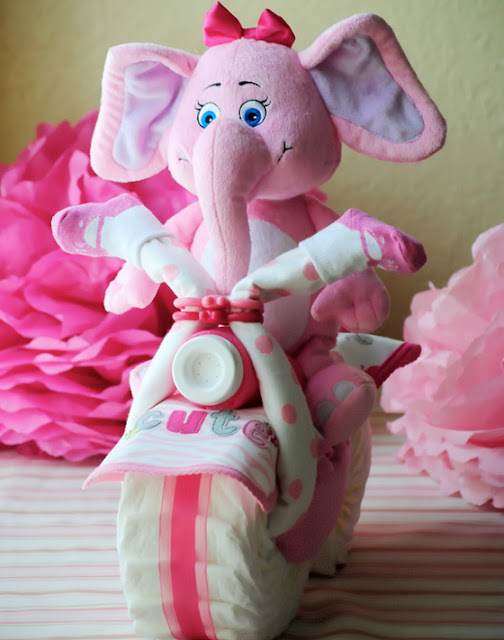 Sweetaprils has a tutorial to make this cute diaper motorcycle that will impress any new mom. And not only is it cute, it is packed with great baby shower gifts. Diapers, blankets, bibs, toys, socks, washcloths, mittens, a bottle, you name it! You can check out the diaper cake motorcycle tutorial HERE.